Renewed label of Diamantopetra ! New bottle for Diamantakis Vidiano ! Diamantakis winery in Oslo, Norway ! Renewed label of Prinos ! Wein in Motion was the motto of the event held on Saturday, November 11th 2017, in Sinzing, near by Regensburg, Germany. 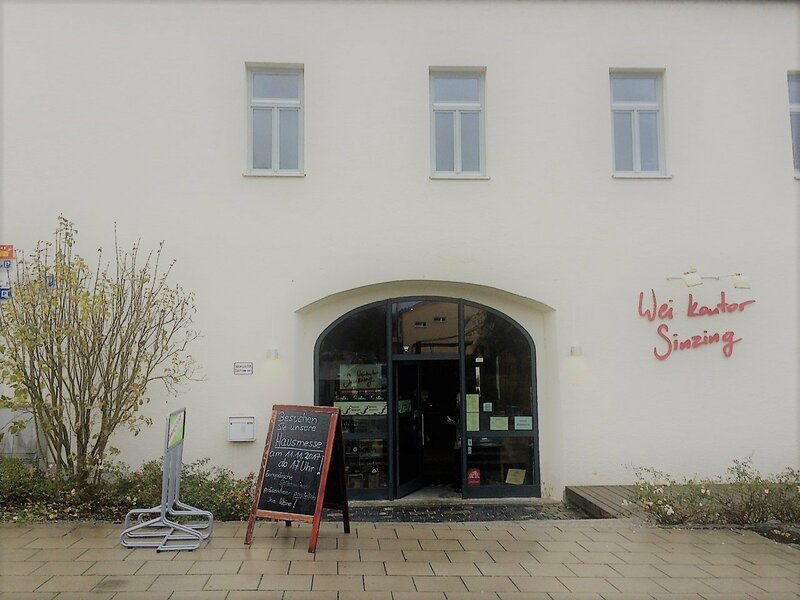 The event was organized by the company Weinkontor Sinzing, which is headquartered in Sinzing and has been active for over 25 years in the field of wine. The company collaborates with 28 wineries from all over Europe and trades selected European wines. The event - exhibition was held in the company's own building, and addressed both to professionals and wine-lovers. The winemakers of the co-operated wineries had the opportunity to present their products to the public and converse with them. 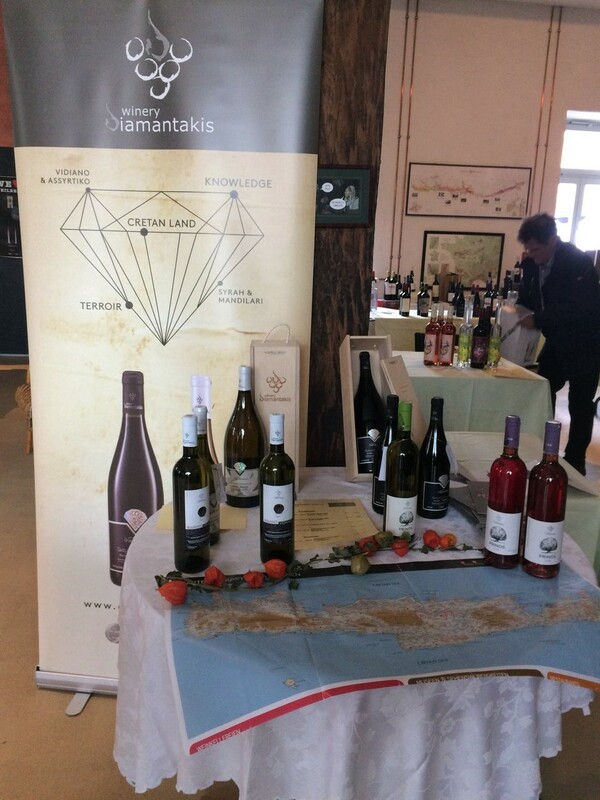 Diamantakis winery had this amazing opportunity to introduce the Cretan wine to the German public since their collaboration with Weinkontor Sinzing counts already 3 years. 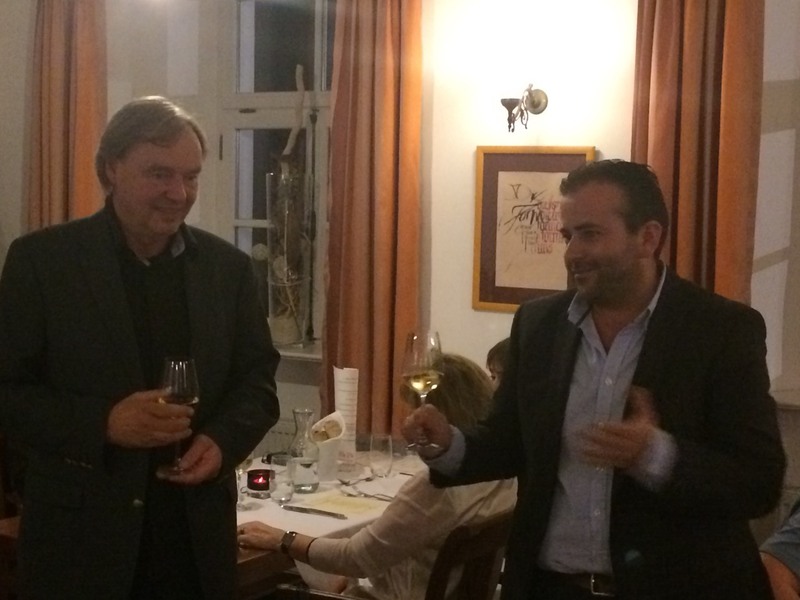 One day before, Zacharias Diamantakis owner of Diamantakis winery and Cristoph Graf owner of Schloss Vaux, a winery in the Rheingau region, had a mini co-presentation of Cretan wines and sparkling wines, respectively. 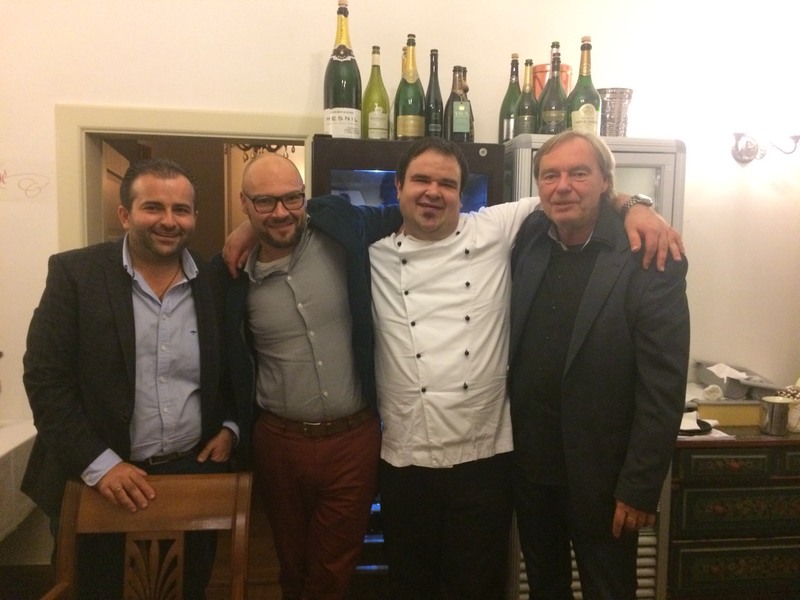 The presentation was held at the Alte Post Ponholz restaurant, which celebrated 5 years been opened. The dinner was designed by the chef Martin Kandlbinder and was accompanied with the wines of the two wineries.